Few people can honestly say they enjoy doing the washing up, especially after you’ve had family and friends round for dinner. Despite washing up by hand being a time-consuming task, many people still see a dishwasher as a luxury item. That said, an increasing number of people are adding a dishwasher to their kitchen. In a report produced by Statista, dishwasher ownership has steadily increased from 18% in 1994 to 46% in 2017. As dishwashers are becoming increasingly eco-friendly, perhaps now is the time to see a dishwasher as an essential part of any fitted kitchen and they do not have to cost a fortune. Nowadays dishwashers are designed to use less water and electricity and so there is less impact on the environment than washing up by hand. It also means cheaper energy bills for the consumer. On a practical level, dishwashers are more hygienic because it is easy to keep kitchen surfaces clean and clutter-free. There is also less bacteria on dishes that have been through the dishwasher because the dishes are washed at a higher temperature. In addition, there are usually fewer breakages when using a dishwasher. Freestanding dishwashers – where the front door and all the controls are on display. It may also be different in height to the fitted kitchen units. These dishwashers tend to be cheaper and there are only four main colours: white, black, grey, and silver (although, sometimes, other colours are available). This could mean the dishwasher will be at odds with the sleek appearance of your fitted kitchen. Semi-integrated dishwashers – fit under the kitchen work surface but the front door and the control panel are still on display. 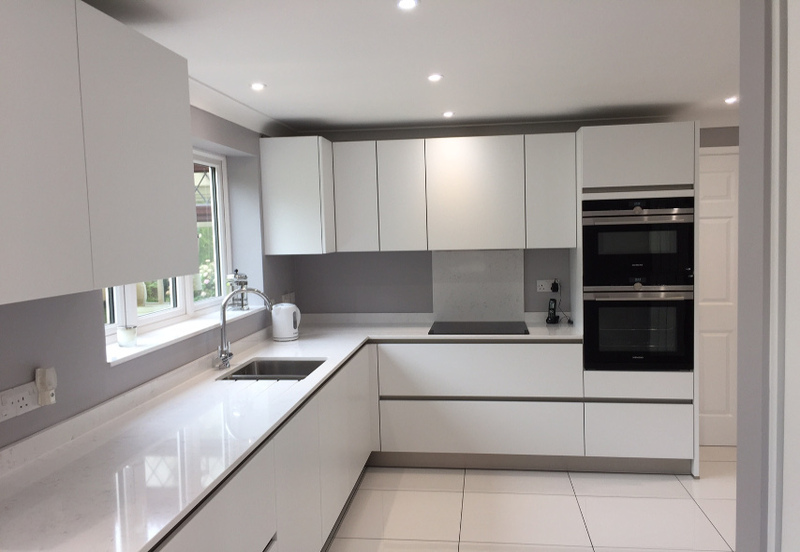 These may blend in better with a fitted kitchen than a freestanding dishwasher, but the colour and the visible control panel may disrupt the appearance of the fitted kitchen. Integrated dishwashers – are designed to blend into a fitted kitchen. They fit under the kitchen worktop and are hidden by the fitted kitchen unit door. You won’t know it’s there. 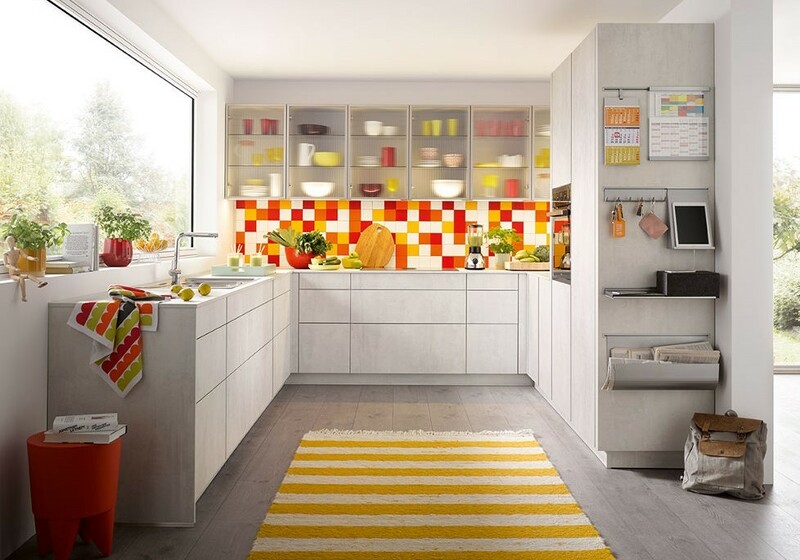 This is the best option for a fitted kitchen because it creates a fully streamlined and sleek appearance. 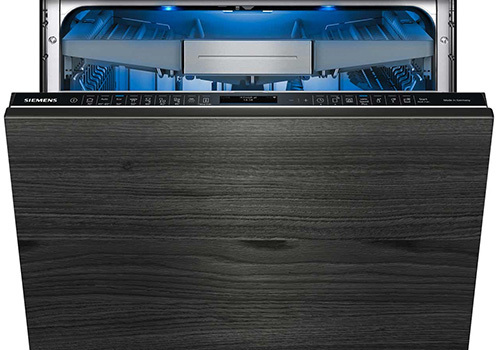 Generally, the more features the dishwasher has, the more expensive it will be. But if it is basic functionality you are looking for, then there are many low-cost models available. However, according to Which? the price is not an indicator of the quality so it’s best to do your research before you buy. 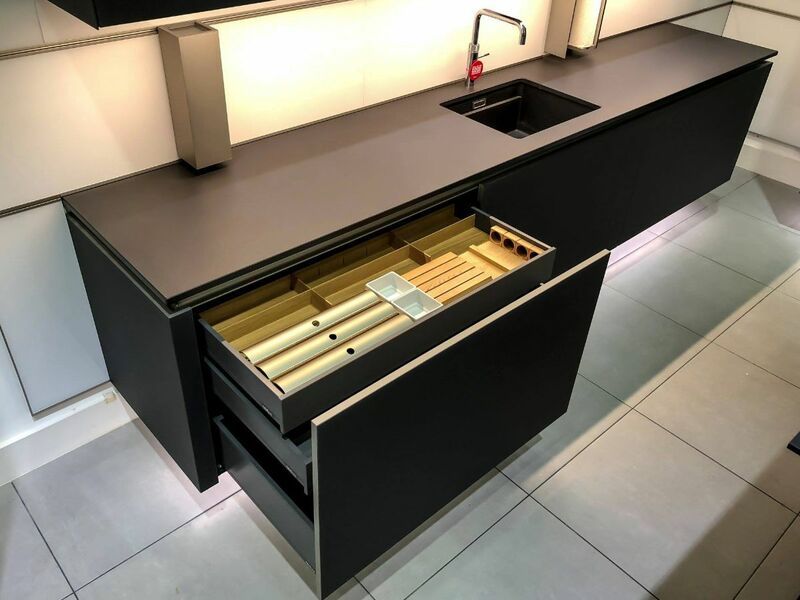 Alternatively, talk to our experts at our Cheshunt kitchen showroom or contact us via our online form if you would like advice on a dishwasher for your fitted kitchen from our extensive range of Miele, Neff, Siemens, and Bosch dishwashers.